St Mark's Campanile is the bell tower of St Mark's Basilica in Venice, Italy, located in the Piazza San Marco. The tower is 98.6 metres (323 ft) tall, and stands alone in a corner of St Mark's Square, near the front of the basilica. It has a simple form, the bulk of which is a fluted brick square shaft, 12 metres (39 ft) wide on each side and 50 metres (160 ft) tall, above which is a loggia surrounding the belfry, housing five bells. The belfry is topped by a cube, alternate faces of which show the Lion of St. Mark and the female representation of Venice. The tower is capped by a pyramidal spire, at the top of which sits a golden weathervane in the form of the archangel Gabriel. The campanile reached its present form in 1514. The current tower was reconstructed in its present form in 1912 after the collapse of 1902. 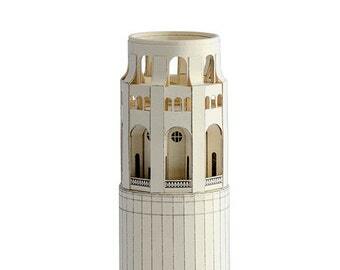 PRINTED KIT - this paper model model is delivered unassembled, in a flat kit with all the necessary details printed on sturdy paper sheets. You will need to cut, and fold, and glue the details according to the set-up instructions. 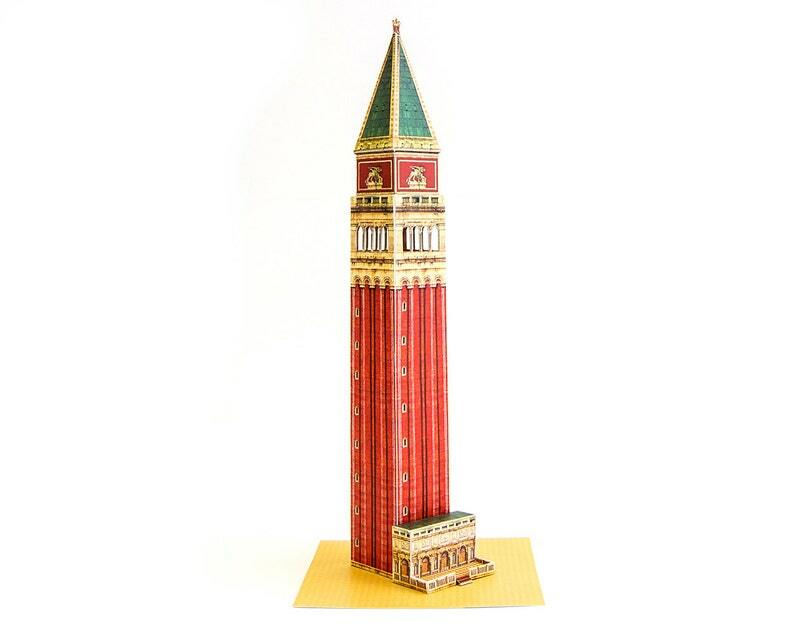 Are you looking for architecture inspired paper craft supplies for scale modelers? Browse our shop to find ideas! Awesome. Thank you. Good transaction.